Even though South Africa have a very good record at home in Tests since reentry, their record against the Aussies has been disappointing. They have hosted the Aussies in 7 Test series since 1994 and have lost 5 and drawn 2 series. Out of the 20 Tests that they have played against the Aussies at home, they have won 6, lost 13 and drawn 1 Test. They will have their work cut out to put one over the Aussies. Away teams have been finding it increasingly difficult to win Test series, but given Australia’s impressive record against South Africa in the Rainbow Nation, and the recent form of both teams, it would not be wrong to pronounce the Aussies as favourites for the Test series. South Africa will have to play at their best and hammer shut the chinks in their armour to emerge victorious. Here are 7 things they need to do to win their first ever series at home against Australia since readmission. In the recently concluded Test series against India, the hosts prepared pitches that aided the seam bowlers excessively, especially with lateral movement. In fact, the pitch for the 3rd Test at Johannesburg was considered dangerous and the umpires even contemplated abandoning the match. The thinking behind such wickets was that the Proteas felt they had a better pace attack than India, and they wanted to take advantage of that. But preparing pitches with a lot of pace and bounce along with lateral movement could backfire against the Aussies as they have 3 bowlers who can bowl at speeds in excess of 145 kmph. South Africa’s best chance is to prepare sporting wickets without resorting to anything extreme like green tops or dustbowls. In the series against India, the Proteas went in with 5 batsmen, Quinton de Kock and 5 bowlers, of whom Vernon Philander and Keshav Maharaj could contribute with the bat. With de Kock going through a lean patch with the bat, this strategy was almost a recipe for disaster as South Africa’s top order batsmen were also not in the best nick against India. After looking at the pitch, the Proteas need to take a call on whether they need the extra batsman as insurance. They need to assess the conditions and the form of their batsmen and, if necessary, go in with 6 batsmen and de Kock coming in at number 7. De Kock is a very aggressive batsman and virtually an all-rounder in the side. He scores at such a brisk rate that he changes the complexion of the game in just a session. However, his recent form hasn’t been good. He scored only 71 runs from 6 innings against India at a paltry average of 11.83. Moreover, if the Proteas are hell-bent on playing 5 bowlers, they cannot afford de Kock having a barren run with the bat, even if his keeping is top class. In that case, it might make sense to give Heinrich Klaasen a go, taking into account his recent brilliant form with the bat. It may seem like a knee jerk reaction but tough decisions need to be taken if the Proteas want to beat the Aussies. Every team has a few marquee players whom they depend on to score runs, but South Africa tend to rely overly on AB de Villiers and Hashim Amla to score runs. The Aussie attack will be relentless and the Proteas’ entire top order needs to put their hand up and contribute, else they will post below par totals. Dean Elgar and Aiden Markram need to come to the party and score. Vernon Philander’s good form and Keshav Maharaj’s gritty knocks bailed them out of trouble against India, but South Africa cannot bank on the lower order to score consistently against Australia. In the recently concluded Ashes, Australia’s pace bowlers blew away England’s tail with a barrage of short pitched bowling. The lower order was intimidated by the sheer pace of Mitchell Starc, Pat Cummins and Josh Hazlewood. Michael Atherton even wrote an article on how England’s lower order needed protection from the umpires. All of South Africa’s batsmen, including the tail, need to stand up and play the Aussie pace attack without fear and without expecting any intervention from the umpires. These days, most tail-enders know how to bat and make useful contributions lower down. There is nothing more irritating and annoying then knocking over the top order cheaply and then getting frustrated by the lower order putting on huge partnerships. Even though Australia won the Ashes comprehensively, there were occasions where England managed to dismiss the top order cheaply but were thwarted by Tim Paine and Pat Cummins, who averaged 48 and 41.5 respectively. Mitchell Starc had a lean series with the bat but is also capable of quick cameos. The Proteas need to keep their foot on the throat of the Aussie lower order to stop them posting useful runs. Since 1st January 2014, Steve Smith has scored 5,087 runs in 45 Tests at an average of 75.92 with 21 centuries. In the Ashes, he scored 687 runs at an average of 137.4 with 3 centuries. Smith is in the form of his life and South Africa’s bowlers need to have clear-cut plans on how to bowl to him and prevent him from playing big knocks. It is easier said than done and if they can’t find ways to dismiss him cheaply, they need to at least stem his flow of runs by keeping the ball outside off-stump with a skewed offside field or attacking the stumps with a predominantly leg side field. They need to get him out of his comfort zone and make him work for his runs. 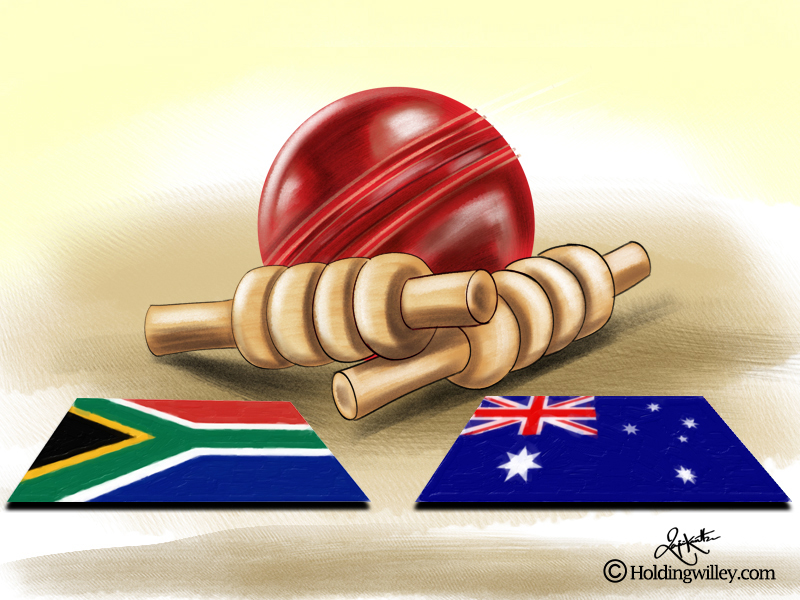 If Smith is able to replicate his Ashes form against the Proteas then Australia will almost certainly win the series.